After countless hours spent at the Daily Nexus, Nelson takes a final office selfie and reminisces. It’s weird, as a journalist, when words don’t come easily. I’ve written thousands and thousands of words in my time at the Nexus, but these last couple hundred really do not want to be put on paper. Working at the Nexus, I learned what it’s like to get heat for a poorly written piece and what it’s like to get awards for a job well done. I learned how to stay up past my bedtime, your bedtime and the moon’s bedtime and still go to class the next day. I learned how to talk to everybody with a sense of interest and excitement. I learned what it’s like to tell someone else’s story, feel the responsibility that comes with that and share in joy when that story actually makes a difference. Somewhere in the middle of all the 40-hour weeks, heart-wrenching nights and unforgettably exciting chaos, I realized that I don’t want to be someone who just reads the news. I want to be someone who makes it. Don’t you? If there’s one thing I can say, it’s that I am thankful for the Nexus and all of the incredible people I’ve met and worked with over the course of these four years, because without all of them and this amazing paper I would never be who I am today. And I can say for certain this campus wouldn’t be what it is today, either. Anyway, I promised I would keep this short, so I’m going to cut myself off in a pretty weird, cryptic kind of way that really sums up the most valuable thing I will take away from my time at the Nexus and UCSB: Sometimes you find that little gem in the middle of a pile of dirt, and suddenly all the digging seems worth it. As long as you keep that gem in your mind and remember that it just might show up anytime, you can handle all the dirt in the world with a smile on your face, and you’ll never go to bed feeling like the day was wasted. So stay hungry, stay curious, stay humorous and stay compassionate, and you’ll be fine. 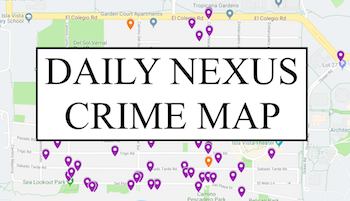 Thank you, Daily Nexus, and thank you, UCSB. It’s been my pleasure working with both of you. To my dearest Megalodon: Good luck! I hope this year is … Megtastic. 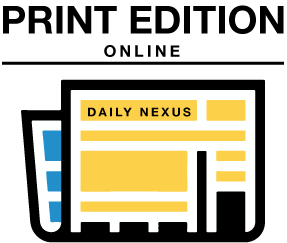 A version of this story appeared on p. 5 of the Thursday, June 2, 2016 print edition of the Daily Nexus. That would be Megan Mineiro.